A teeth grinding toy is necessary for small pets who have teeth which grow continuously through their lives. 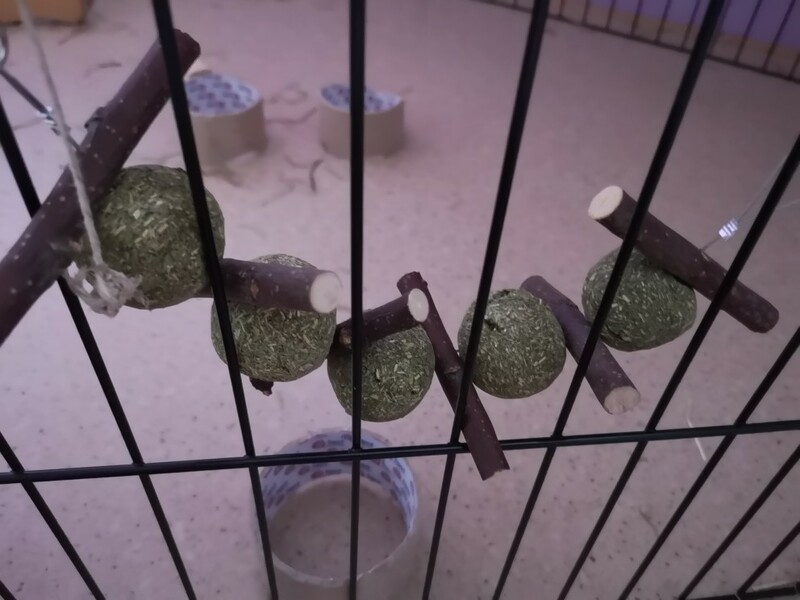 This kind of toy is made out of an apple tree branch and natural grass which are made into balls,and both of them are good chewing materials for pets. The toy can be hanged on the cage with the two hooks on the end of the toy. Excellent for hamsters, rabbits, guinea pigs, etc. Extremely good quality! Fast shipping! Ordering more! Took a bit longer than expected to arrive but it eventually did! Rabbits love this!